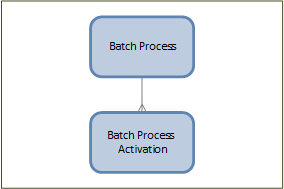 I had some free time and decided to review the Asynchronous Batch Process Pattern Solution. On January 2013 I promised to publish a revised version and didn’t manage to do so. To redeem myself, I have decided to publish this version on CodePlex, so it can be customized by anyone who needs to. If you don’t know what ABPP is all about and what’s in it for you, I suggest you start here. In the first part of this post I’ll describe the new features, architecture considerations and implementation details. In the next part, I’ll walkthrough the different scenarios and use cases. You can download an unmanaged solution as well as source code here. As always, I advise not to publish an external solution on your production environment without testing it first. I tested this solution with Online (2015 RU 0.1) and on-premise 2015 deployments. 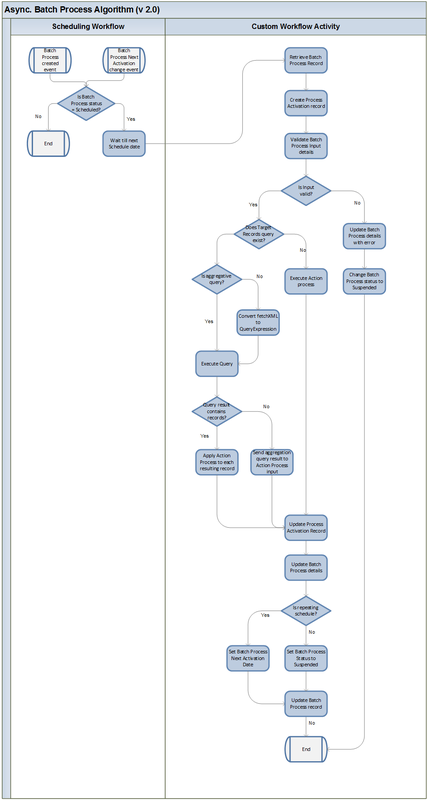 Diagnostics – update batch process record with last activation result (success/failure) and failure reason. I have skipped some features that I could not design without breaking the ABPP paradigm, which generally dictates a complete separation between the Schedule component, the Action component and the target business records. These features need some more thinking and if you have any suggested architecture, tell me about it. Now, let’s get down to the details. First, a small addition to the ERD. The new Process Activation entity purpose is to document each activation details. In the future, I’ll add option to document the ids of the records which were returned by the Target Records Query. This will allow tracing of the specific records that were affected by each ABP activation.